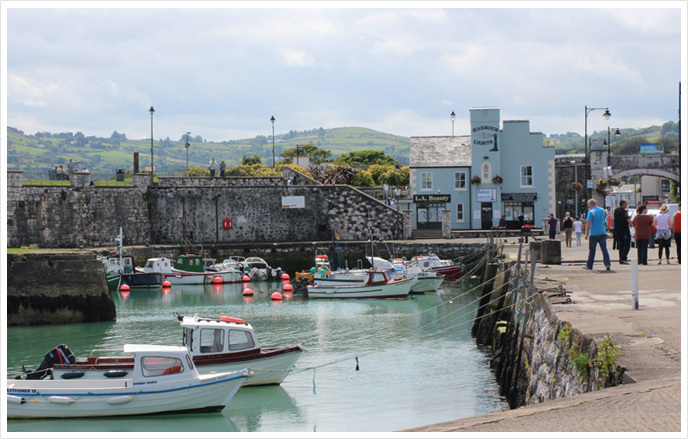 Coastal sites are becoming a much sought after location in modern Ireland. Residential homes with coastal views are very rare indeed. 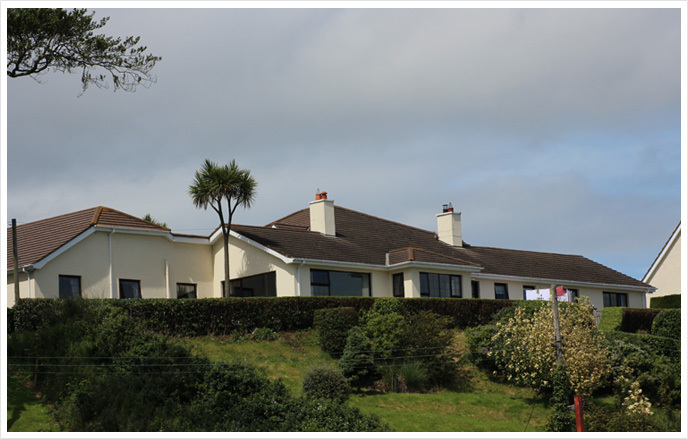 Karingmore can however boast one of the most spectacular views of any residential home in all of Ireland and indeed Europe. 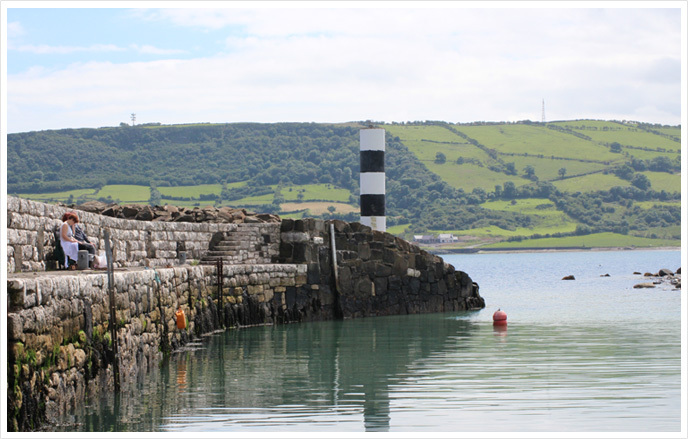 To the south the dining room and several of the bedrooms overlook the sea of Moyle in the Irish Sea with picturesque views over Carnlough Harbour. 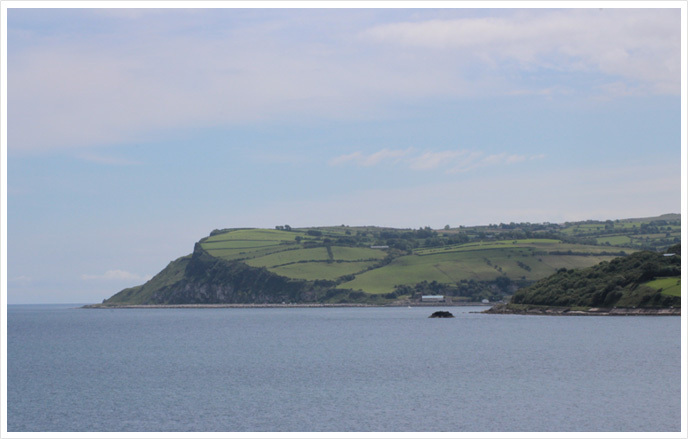 The remainder of the rooms face east or north with views of either the Scottish coastline or the magnificent Glens of Antrim. 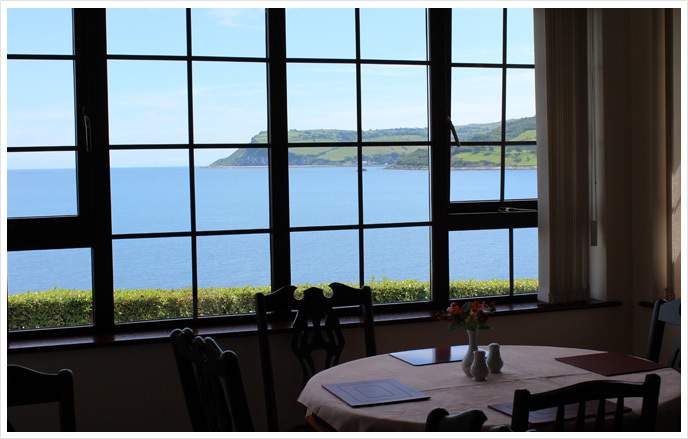 On a clear day from the dining room it is also possible to catch a glimpse of the numerous cruise ships that now visit the region as they pass between the Mull of Kintyre and the Antrim Coast. The images below give but a sample of the splendour of the unique location where Karingmore resides. 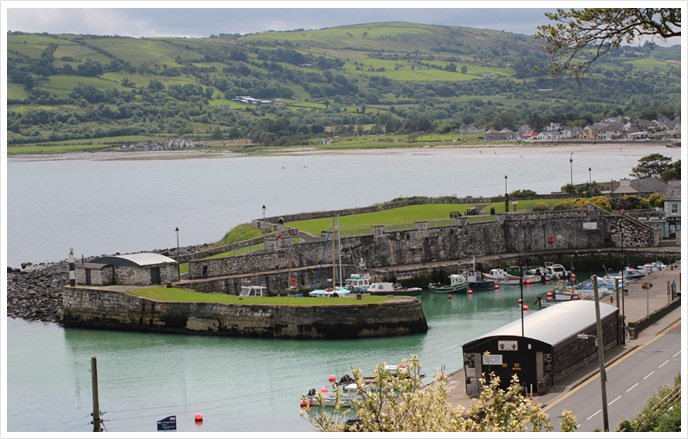 We welcome any prospective residents to visit with relatives to experience the splendour of this unique setting. Your children or grandchildren are also most welcome to enjoy your new home during the day or evening.